Nearly breaking even is a loss. You don’t want to spend money on paid advertising if it’s not working. Imagine you spent over £1,200 on Facebook marketing and the product didn’t convert as well as you had wanted and you nearly broke even. That’s what happened to me and this blog is how I stopped spending money to test Facebook conversions and went all in on time to test if free traffic from Instagram could build my email list. The idea is to get conversions working with free traffic then use paid traffic to upscale as the most expensive part of paid traffic is paying for leads when your funnel does not convert. 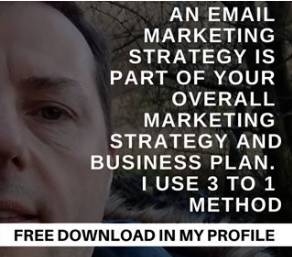 I’m going to cover all the free software I use while it’s limited and that’s ok. As once you start seeing results with free traffic you can switch to paid traffic to massively increase conversions. Step 1 – Which HashTags to use? There’s no need to get creative with hashtags. Do a search for your niche hashtag and look for people who have many likes and many comments. Go through the comments to make sure many of them are not automated and is in fact real people which let you know that channel and hashtag has real interest. Search for your main interest hashtag e.g. Pick one of the many posts that get returned and go look at there hashtags. 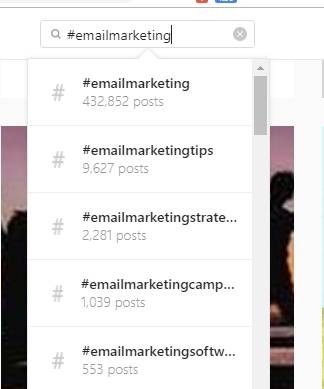 You want to find 3 sets of hashtags where the images have over 100 likes and 10 comments. 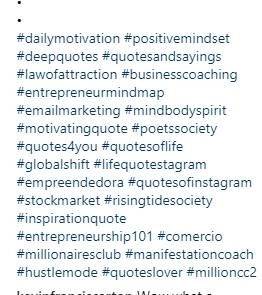 At this point you want to copy those three sets of hashtags onto a page separating by several returns. The reason for several returns is, you are going to write an advert for each Instagram hashtag group. This will give you three posts a day. More on this later when I cover posting with a free scheduler tool. 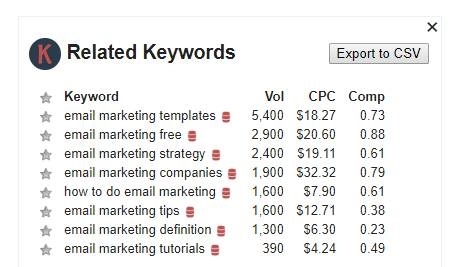 When you are looking for interesting content I find the best way is to use a free keyword tool that you install into Chrome as a plug-in and that’s called “keyword anywhere”. You type in your keywords into Google and it shows you related keywords that you pick which best suits the content you want to post e.g. Now you have the best keyword phrases, paste them into Google and do a search. You are looking for articles or titles within the first ten or twenty you are URL’s. You are looking for titles to give you ideas to write a new Instagram post around for example in the post below you could take 6 tips for writing an awesome business email as your Instagram text then in the Instagram description write your own content. The goal with Instagram is to get people to click on your Instagram image then jump across to your profile and then from your profile to your landing page. So currently we are at your image and you want to get as many people to click on the image to see your profile. The best way I found of doing this was to put a call to action at the bottom of every image. I posted “Free Download in my Profile” and this boosted my click through rate from images to my profile from virtually nothing to 202 profile visits from Dec-11 to Dec-1, that’s only 7 days. You can test different messages to see what works best for you. If you don’t have any photo software, use Canva.com, it’s free, easy to use and has a phone app. 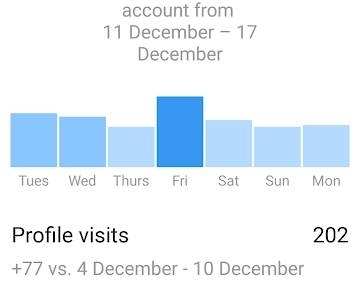 From 202 Instagram profile visitors. 19 visitors clicking my free download link. To put this into perspective, for the 202 images that were clicked bringing visitors through to my profile, if I used paid Facebook adverts, I would be paying around $3 a click, that times 202 clicks would have cost me $606 for 5 email signups, in a week. So, yes, I need to keep tweaking my profile offer to improve email signups, can you see how powerful this is? If your trying to build a customer base with no budget, thats 20 leads a month for free. Keep in mind these are still cold leads, you need to convert them to warm leads before you make sales. While in this post i’m just talking about Instagram free traffic, I’m also generating free traffic from Twitter, YouTube and Pinterest, but that will be more blogs covering one free traffic source at a time. The key takeaway her is that once you get your free traffic converting at a rate you are happy with, you can start paid advertising to drive traffic knowing you will get an instant boost on conversions. Word of warning. If you add paid traffic, make sure your conversions get your ad cost back. If not on the lead in offer, at least on the upsale. If this makes no sense at the moment, just stick to free traffic. Video recordings of high ticket events. I like to offer handouts written in Google docs then publish them in the Google doc, DO NOT share them as a shared Google doc has a limit of 100 views then stops for 12 hours, whereas a published Google doc has unlimited views. The link you get for the published doc messes up the format, you need to paste the link into https://gdoc.pub/ which generates a new URL for you to share as a well formatted handout which updates automatically when you update your Google doc. Here’s what I mean. If I publish this Google Doc, the format messes ups e.g. Which has the same formatting as your Google doc, super quick and great for handouts. Taking a new email signup to a sale is a whole guide on it’s own and looking around the internet you will see everyone has their own ideas on the best process. Does your product or service save them time or money? Does your reader trust you? Can your reader afford the cost? If yes to all three, enjoy many sales. If no to any of these, you have work to do. The reason for not making sales is your lead does not see you as the best go to person for the product or service you offer. As I don’t know you, or your level of experience, the best way to sell to your list is to talk about real situations in the form of a story. We have been telling stories to keep our families safe in fun ways from caveman times to modern times from the Green Cross Code to Stranger Danger etc. Once you buy the book you have free access to the template website where you fill in the blanks and your story is created. The book is:- Building a StoryBrand – https://amzn.to/2GzHZHf and the reason I give a tip on each instagram post to give you value and start building trust from the get-go.